Political Correctness Alert: British Common Sense Going to The Dogs……. – The Tundra Tabloids……. The British Police have been honing up on their sensitivity training, with their latest exercise in “leaning over backwards” to Muslim sensibilities, going way overboard…again. 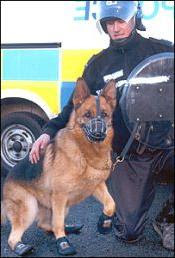 Police sniffer dogs will have to wear bootees when searching the homes of Muslims so as not to cause offence. 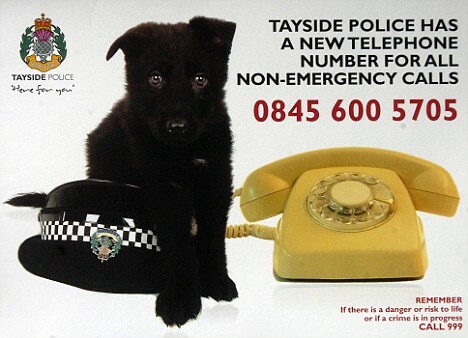 Guidelines being drawn up by the Association of Chief Police Officers (Acpo) urge awareness of religious sensitivities when using dogs to search for drugs and explosives. The guidelines, to be published this year, were designed to cover mosques but have been extended to include other buildings. But here is a reason why some (if not most) Muslim complaints over their religious sensibilities being violated, should be given a stiff arm. One of Britain’s leading Imams said that the police are over reacting to the complaints. Previous Post Previous Post Israeli Former Girl Friend: Terrorist Tractor Murderer Didn’t Really Hate Jews……. Next Post Next Post Radical Islam Stirs Unrest in China…….